Ben Hogan was perhaps the greatest golfer of all time, and he was also one of the most private. 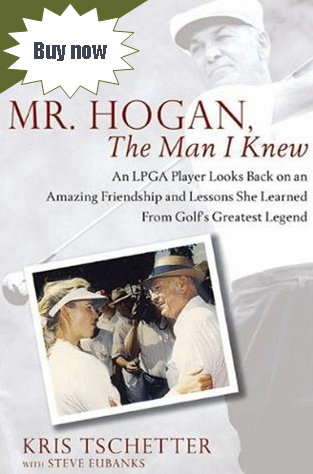 These are the Hogan stories that you’ve never heard, stories that unlock the mystery to who he was as a person. As a collegiate golfer in the 1980’s, Kris Tschetter was fortunate enough to become a member at the prestigious Shady Oaks Country Club in Texas where Ben Hogan was a member. There was an unwritten rule at the club: don’t bother Mr. Hogan. However, 18-year-old Tschetter was unaware of the spell he held over the golf world when she first passed him in the halls of Shady Oaks. Maybe it was Tschetter’s work ethic, or maybe just her youthful enthusiasm, but Hogan noticed her practicing and offered to help her with her swing. Over time she penetrated the tough exterior of the golfer know as the “Hawk” and the “Wee Ice Mon” and a unique friendship began. By the time Tschetter met Mr. Hogan he was in his 70’s, and although his golf swing hadn’t changed, his enthusiasm for the game had waned. The two spent countless hours practicing together on the “little nine” at Shady Oaks, and Tschetter saw a side of Mr. Hogan that few ever knew. While he taught her priceless lessons on golf and life, she helped him recapture his passion for the game by giving him the chance to take the journey all over again. MR. HOGAN, THE MAN I KNEW sets the record straight about this American icon, revealing his humor and sensitivity. It captures the magical connection that sometimes happens in life in a truly beautiful story about an unlikely friendship between two very different people who shared the same passion. Kris Tschetter has been an LPGA touring professional since 1988. 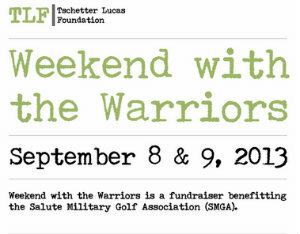 A fan favorite, Kris is also the founder of the Kris Tschetter Celebrity Golf Benefit for Kids. She lives in Warrenton, Virginia with her husband and their two children. Steve Eubanks is a former PGA pro who has written thirty books including Hot Laps a Stockcar Thriller and Augusta: Home of the Masters Tournament. He lives in Peachtree City, Georgia. For decades golfers have searched for Hogan’s “secret,” the key to his unparalleled ball striking. The reader will discover that the real secret lies in who Ben Hogan was as a person. Kirk Lucas Golf is a one stop shop for all of your golf instruction needs. We have two teaching facilities located in Virginia: "The Farm" in Warrenton and "The Shot Shop" in McLean. Kirk has worked with many professional players (including his wife Kris Tschetter) ranging from the mini-tours all the way to the PGA and LPGA. Kirk Lucas Golf also puts on private corporate events, clinics and offers individual lessons. Contact us today to start your journey to better golf.